Congress has suffered a jolt with Samajwadi Party's landslide victory in UP elections. The drubbing is not just because of consolidation of Muslims voters but also other sections, however, the fact remains that Muslims didn't get lured by Congress' promises. 1. Muslims don't want anything special but simply need basic amenities. However, Congress governments fail to deliver even on this count in states where they are in power. Muslim ghettoes that overwhelmingly vote for Congress, remain the same. There is no change. The lesser said about the presence of hospitals and dispensaries or schemes regarding opening schools during Congress regimes, the better it would be. Muslims don't expect any party to promise that it will get them moon. It is well-known that such things [which BJP would instantly term as 'appeasement'] are not possible. Congress promises implementing Sachar panel recommendations but UPA's first term went without any step in this regard and soon this five year term at the centre would also end. Won't people feel that they are being taken for a ride? 2. If you can't provide jobs or better civic amenities, the most basic expectation is that the law-and-order would be effective and there would not be fear of communal riots. But either it is Rajasthan where policemen fired at Muslims in Gopalgarh, a one sided action which was initially defended by state government, unjustifiable use of force at Karbala Jor Bagh despite a court order in favour of Muslims or illegal detentions [harassment] of Muslim youths in Delhi, the situation remains the same. What's the difference between Rajasthan and NDA ruled Bihar where firing in Forbesganj occurred? 3. The Congress-led UPA government cares about the morale of police & security agencies but not sensitive enough to the demand and morale of hundreds of millions of Muslims. From police to lieutenant governor, at every step attempt was made to stop information sought regarding the Batla House encounter case. Would heavens have fallen if a judicial inquiry in Batla House encounter was instituted? After all, inquiries keep lingering for years, and even if there is a recommendation, you can simply ignore it. Haven't you been doing this for the last sixty years. This strange attitude shows Congress' contempt towards us [Muslims]. It hurts. You don't consider us anything except electoral slaves. 4. Twice in Maharashtra, Congress fought election on the promise that it would implement recommendations of Sri Krishna Commission panel regarding 1992-93 Mumbai riots. This hasn't materialised. No wonder, Muslims voted for SP and your party lost in BMC election in Mumbai. In fact, recommendations in all such cases including the infamous Maliana killings still gather dust. There is either no will or a strong right-wing presence in your party which ensures that not a single killer cop would ever get punished. Such is the hold on bureaucracy that in cases like Hari Masjid firing where policemen entered mosque and fired at devotees, Maharashtra police acts with unusual zeal to protect its tainted cops. 5. Congress often gets Muslim votes by default. Muslims wanted an alternative. Many of us wanted a party that would be centrist, even a bit towards the right, but which would not act dubiously. Under Atal Bihari Vajpayee, BJP had somehow got a bit of Muslim support. Unfortunately Gujarat happened, and just the fear that Gujarat carnage didn't recur, Muslims had no option but to support your party. There was no third front [unlike the United Front or Left Front in late 90s] and hence Congress became the sole alternative. 6. Even though the Muslim electorate forget all the past follies of Congress ranging from installation of idol in Ram Temple to former Prime Minister Narasimha Rao's promise of rebuilding Babri Masjid, but even today, there is no clarity in its approach. Forget giving adequate representation to Muslims, the party leaders and 'Muslim faces' imposed by it remain out of touch with ground realities. Perhaps there is a feeling that Muslims have no option and will keep on voting for your party. Just for the record, SP has inducted 10 Muslims in its 47 member cabinet. Congress wouldn't have named five. It doesn't show interest in letting Muslim leadership in the party grow. If there are outspoken politicians within party they either don't go up or are not given as much importance. 7. Rahul ji, your leaders aren't approachable. At ground level, they fly or whiz past us without listening to our problems. When we tell them, they appear listening sympathetically listen and when they go back, simply forget to take action. Now if we come to the issue of virtual world, it is common complaint that Congress leaders aren't approachable on Twitter or Facebook. A few of them have accounts but don't interact or reply, compared to other parties. Initially I thought that I would give this post a title 'Open letter to Congress from an Indian Muslim' [or Rahul Gandhi]. But somehow, one feels, it would be futile. It is not that Congress leaders won't know what their voters expect from them. In Urdu papers, these issues are mentioned regularly. But is there any interest visible on part of India's oldest political party when it comes to improving infrastructure in Muslim localities or ensuring swift action on schemes for Muslims. 8. Despite tall claims made by UPA-I and also UPA-II, Muslims are still denied loans by banks. Figures suggest that there is little change despite reminders and rebukes. The money for scholarships don't reach the students easily. Congress blames opposition parties that rule states from where many complaints about lack of implementation of policies for betterment of minorities are received. Congress leaders immediately release huge amounts when Chief Ministers of non-Congress states accuse Centre of bias in releasing funds to non-Congress states. While releasing the funds, the UPA leaders can push the States for release of funds for minorities. Can't they? Why year after year, funds are earmarked but only to get lapsed. 9. Rahul Gandhi seems sincere and interested in redressing the problems of Dalits, Muslims and other sections. But the party doesn't seem interested at all. Whenever Congress governments take charge of office, they begin acting arrogantly. Just now Congress has managed to come to power in Uttarakhand. We are yet to hear a word regarding Muslims. Will the status of Urdu as second official language, which almost ended during BJP rule, be restored? We haven't heard a word as yet. It is possible that at the national level where the issues are different and electorate think in terms of installing a government at the centre, the voters' behaviour might be different. In UP, the party that was in a position to defeat BSP was supported and of course Muslims overwhelmingly voted for SP. 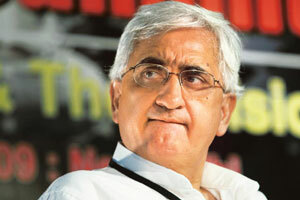 When Congress leader Salman Khurshid talked about Muslim reservation, Muslims were not amused. The 4.5% quota was a bad joke and it was meant for all religious minorities [that include Sikhs, Christians, Jains & Buddhists apart from Muslims] but was projected as if Muslims will be the sole beneficiaries. Bhai ham log itne saal se bewaqoof ban rahe hain, aur kitna banenge!. It is just an exasperated Indian Muslim's rant. One hopes that Congress would understand that Muslims, like rest of Indians, don't want anything special. Good governance, access to basic amenities, justice and understanding of their issues. Of course, no false promises. And whatever little you promise, at least deliver or show the intention to deliver. Mayawati's strange relationship with Muslims: Why BSP wanted to throw away all its Muslim support? 'They didn't vote for us' : Why should they? BSP has lost power in UP and its leader terms loss of Muslim vote to the party as one of the main reasons. More than others, she has to reflect over it. But before coming to her strange relationship with Muslims and TEN points on Muslims' disillusionment, just a recap. Wayback in early 1990s, the rise of BSP had given hopes to Muslims, who wanted an alternative to Congress in North India, especially, UP. Muslims felt that if BSP manages to get a majority of Dalit votes, it would be in a position to form the government on its own. Though Muslims had soft corner for SP leader Mulayam Singh Yadav because of his bold stand in the Babri Masjid issue, it was clear that Yadavas were not as numerous as Dalits. Also, whenever Muslims actively supported SP in those days, it led to reverse polarisation in favour of BJP. Kashi Ram's efforts from the days of BAMCEF bore fruits and the BSP had finally managed to become a strong cadre based party in Uttar Pradesh. Though Dr Faridi had passed away long back but his dream of forging a Dalit-Muslim alliance was coming into reality. Muslims were disillusioned with Congress, which was responsible for backwardness of Muslims in UP. Congress appeared to seek Muslim vote only because if it didn't win, there was the fear of BJP coming to power. After Kashi Ram's death, Mayawati finally took control over the party. In her initial tenure she didn't seem to take any important pro-minority steps. But whenever she lost, she seemed upset that Muslims didn't vote for her. However, a substantial percentage of Muslims always voted for BSP. In 2007 when she sought Upper Caste support and got absolute majority in UP Assembly, it was time Muslim community expected some good decisions. Muslims didn't want anything out of the way from the party. However, just keeping the state 'riot-free' could not be a sop for Muslims, as they also get aspirational. Strangely, she never even tried to understand Muslim psyche or their just demands. Nasimuddin: None better than him! Nasimuddin Siddiqui remained her sole link to Muslims and as far as his image or understanding of the needs for the community, the lesser said is the better. In this tenure, she remained aloof from Muslims. In fact, one felt that she has certain disdain or disinterest towards Muslims. Earlier when she lost, she had (in)famously said that Muslims are 'kattar' [fundamentalist] and didn't vote for her party. On this occasion, she said that Muslims didn't vote for her. Doesn't she realise that Muslims have no reason or obligation to vote for her. Here are just a few points I would mention regarding Mayawati's strange relationship with Muslims. 1. Forget any schemes or projects aimed at uplift of Muslims, BSP government never tried to even build bridges with Muslims. Kashi Ram, when he had roped in Urdu poets and intellectuals in late 80s and early 90s, knew this well that a few 'occsaional' statements are enough to make the Muslims happy. 2. When Azamgarh was defamed or when Muslim youths were routinely picked, she never even sympathised with the community or speak against the trend of demonising the place. Muslims expected nothing from the state government, just statements that 'Azamgarh shouldn't be branded as den of terrorists'. for their stand, without consulting her. This didn't go down well with Muslims, who in fact, wanted her to take a stand. 4. Muslims have an emotional link with Urdu. The language killed in UP during successive Congress regimes and the discriminatory law that stops opening of Urdu medium schools in the state was promulgated. SP did take steps for restoring Urdu's status. But BSP never seemed concerned about Urdu. In ten years, I have seen just two Urdu banners of the BSP supremo in Lucknow in more than ten years. Her government took no interest in continuing services of Urdu translators or the issues pertaining to the language. Of course, she stalled Azam Khan's Maulana Mohammad Ali Jauhar University project. The Arabic-Persian university which was the only big project announced for Muslim students during her five year regime, remained a non-starter. When recently the Congress danged the carrot of reservation for Muslims in the OBC quota, which was in fact for all minorities, she was first to oppose it though later realising the folly, changed the stand and asked for a separate quota. 5. Neither priority was given to Muslims in recruitment in police nor in other government schemes. For a while [2010-2011] scholarships were given to Muslim girl students in schools but they were also insufficient and mostly in cities. When she spoke about quota for Dalits in private sector, she forgot Muslims. ﻿ 6. Certain things hurt a lot. She didn't interact with Muslims, even Muslim women. Even this could be ignored as it had become her style. But when delegation of Ulema went to meet her, they were asked to take off their footwear and frisked in such a manner, that Muslims felt offended. 7. Whenever new districts were named, it was done after Dalit leaders. Unlike other caste groups Muslims never opposed her constructions, parks and memorials, as they had seen how post-independence Congress governments in UP had erased Muslim-sounding names in UP. While BSP never cared to initiate any scheme or project after a Muslim freedom fighter's name, it even went ahead and changed names that disturbed Muslims. A case in point is Amroha, which is now part of JP Nagar. Its a question of identity. Over the years, the word, Amroha, had become to symbolise Muslim culture and if the district had to be renamed then why not BSP consider a Muslim personality for renaming it? Everybody on the street asked, why she takes decisions so arbitrarily as if we don't exist, have no identity and no voice. Christening places is also an interesting electoral ploy but it works. Once even Jayalalithaa had named a Tamil Nadu district 'Dindigul' as 'Dindigul Qaid-e-Milleth' after Maulvi Islamil and the decision had earned her huge Muslim support then. 8. Mayawati CAN'T BE written off. She might bounce back. Yes, her Dalit support remains intact. But it remains a mystery why she doesn't at all care about Muslim support. Why, after all, she takes it for granted or feels that it Muslims will anyhow vote for her. The elephant was even termed an Upper Caste symbol in slogans during campaigns by changing the earlier anti-Upper Caste stand 'tilak-tarazu aur talwar, into maro jootey chaar', but Muslims, who were never averse to wear the blue hue, were neglected. 9. 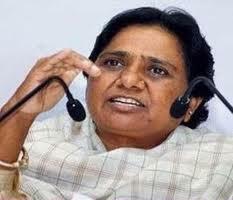 Perhaps, she felt that Muslims will vote for BSP wherever a Muslim candidate is fielded by her party. So the strategy of fielding more Muslims was enough! But the fact is that Muslims were too hurt. And they are so disillusioned that the feeling wouldn't go in five years. 'Sukh-dukh mein saath' [even if just verbal] is what one expects from the leader. 10. The issues of Muslim artisans were never on priority. The weavers were suffering but the UP government didn't take interest. The power [electricity supply] situation in Muslim dominated parts of cities and towns remained as bad as it was during BJP rule. If not wholeheartedly, there can be at least, moral support to an extent. But she neither tried to implement a development agenda for Muslims, nor speak on behalf of Muslims who felt besieged on several occasions. If she didn't understand Muslim psyche, why she never took any step towards getting emotionally close to Muslims. At least, should could have a got a few good advisers. What stopped her from doing that? It's a big question? Mayawati may win once again. But it is a bit saddening that she somehow remains apathetic to Muslims. Had she been a bit proactive, she could have cemented a winning Dalit-Muslim alliance. If a party gets support of this block, there is no question of electoral loss for it in Uttar Pradesh. Mulayam couldn't muster more than 30% even if all Muslims and Yadavs voted for him. Mayawati could get over 30% just if half of Muslims supported her [and 40% if all Muslims supported her]. Had she taken a few positive steps, a majority of Muslims would have supported her. After all, a party that is more likely to win gets more support. Leaders, MLAs, and politicians who were part of the government, always expressed their frustration. I'm not talking about the legislators whose sole aim is 'influence, power and money' but the educated ones who wanted to raise real issues of Muslims at the grassroots. But she didn't evoke any confidence among Muslims. The message was not for once that 'this is your party also'. Of course it is a Dalit-based party, Muslims didn't want to be wooed [like Brahmins were once] but there was need for some acknowledgement for their support. It was never done. This stand has cost her in other states also. Muslims earlier considered BSP an alternative but they don't seem enthusiastic about it anywhere. It is not a question of inherent biases. It is simply a thing about losing a big opportunity. Call it her whims or whatever. Mayawati is, after all, Mayawati. UP election 2012: Samajwadi Party Wave Or Voters' consolidation against Mayawati's BSP? 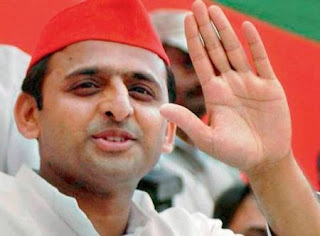 Akhilesh Yadav: Thank you UP! The results of Uttar Pradesh Assembly election have thrown a surprise. Though everybody expected Samajwadi Party to do well, the landslide majority has astonished even the party's most ardent supporters. Once the elections are over, everyone worth his salt can write an analysis and spell out reasons for Congress' debacle, BJP's poor show and Mayawati's failure to hold on to her vote. But the truth is that anyone who travelled in UP, would have sensed a wave. It [the vote] was not for Samajwadi Party. It was more for a party that was best suited to defeat the Bahujan Samaj Party (BSP). Of course, Akhilesh proved himself as an affable alternative. Even though law-and-order front was not at all as bad as in the previous regime, there was a growing sense of disenchantment towards the BSP government. Can it be blamed for caste prejudice? The Upper Caste and even a section of Muslims who wanted Mayawati to lose power, wanted the regime to go anyhow? Not exactly so. Just five years back Muslims had wholeheartedly supported Mayawati and so did the Upper Castes. Then what happened in the last five years? The complaints about unnecessary spending on statues to an extent smacked of inner prejudices. Even in the past, when Dr BR Ambedkar's statues were erected in UP during BSP's initial regimes, one could sense the Upper Caste's [even so-called 'elite' Muslim] discomfort. When King George Medical College's name was changed, even Muslims seemed apalled. Though it was a colonial name that had been replaced with that of a Dalit icon Shahuji Maharaj, a move that shouldn't have been opposed. After all, post-independence, Muslim poets, writers and personalities were forgotten in UP. Hardly any building, park or monument was named after Muslim freedom fighters or minority leaders in the six decades and even whatever had remained was either changed or destroyed. Still, Maywati's creations seemed to cause more heartburns. Just like in earlier election, when everybody was fed up of 'Goonda Raj' and people on the street openly talked about Mayawati's arrival, on this occasion there was a clear consolidation against BSP. The reasons, even not too convincing, were aplenty. People talked about her 'aloofness', her 'arrogance', her 'lack of interaction', her 'narcissism' in the same breath. What did it stem from? After all, the law-and-order situation wasn't as bad as it is often projected. People on the ground said that there was corruption. A Dalit auto-rickshaw driver told me that it was his dream to buy a three-wheeler of his own. But couldn't do it because the rickshaw cost Rs 2 lakh. However, for its permit, he needed another Rs 3 lakh apart from a ruling party politician's recommendation in RTO [Transport department]. People in all walks of life had similar tales to tell. They claimed that earlier 'kaam to ho jata tha', now much more money was needed apart from political connections for your work to be done. Either it was getting recognition for your primary school or starting a sawmill [a person spent Rs 10 lakh for re-starting his own saw-mill as the licence had expired]. It was such tales of corruption that perhaps hit Mayawati. The stories about the corruption kept on spreading. Urban legends spread fast. Maya's aloofness and 'attitude' probably made it sound more credible. MLAs complained she was inaccessible. The honeymoon between Upper Castes and Dalits was over. Brahmins felt they had been totally neglected after the government was formed with their support. Was their grievance genuine or it was the gradual decline in their traditional influence in rural UP [and urban] that perturbed them. Was it Maya's overconfidence that did her in or it was part of strategy to consolidate Dalit voter, which backfired? One thing is sure, as voters realised that SP is the only party in position to convincingly defeat BSP, the indecisive voters also supported it. Though Yadavs are not a big block compared to Dalits, Mulayam managed to get the backing of the powerful backward castes. Though incumbency could be a factor, Mayawati didn't lose her hold over the Dalits. But the party was no longer evoking interest among other caste groups. Even the huge number of young electorate that came out to exercise franchise for the first time, seem to have supported SP, which is no less surprising. As far as BJP is concerned, it had been marginalised long ago. Apart from infighting, Uma Bharati's import from Madhya Pradesh failed to enthuse it. Veteran BJP leaders couldn't instill any confidence in its workers. Rahul Gandhi worked hard but people wanted to vote for a party that would form a government in the state. It was not a union election and hence there was no need to waste the vote. The promise of 4.5% reservation for minorities that included all religious groups including Sikhs, Christians, Jain and Buddhists further angered Muslims, because Congress touted it as a Muslim reservation, which it was not. Salman Khurshid, who is not a politician of grassroots, again had to face his wife Loiuse Khurshid's defeat. Even in its bastions, Amethi, Rae Bareli and Sultanpur, its candidates performed badly and the party lost at most of the places. The remarks on Batla House issue had angered Muslims. The party twice won Maharashtra over the promise of implementing Sri Krishna Commission report but never did that. It couldn't even order a judicial inquiry in the Batla House encounter. What use is such party? 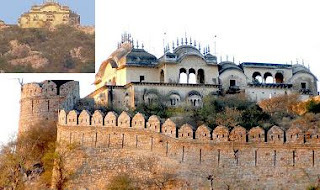 The anger over Kalyan Singh's entry to SP, which was evident last time, was a thing of past now. A new record was created as far as victory of Muslim legislators is concerned. Even a Muslim contestant won from Lucknow where communal polarisation and Shia-Sunni dispute [causing division of votes] was reason for lack of Muslim representation from the City for decades. 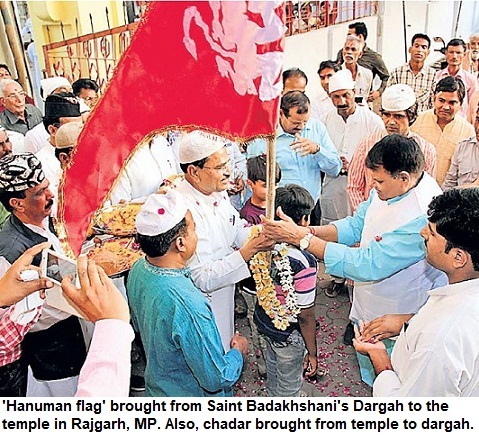 At least 69 Muslim candidates won the election, with SP's Muslim contestants emerging victorious in 43 seats. This is the highest ever number of Muslim MLAs in Uttar Pradesh Assembly. The positive aspect is that SP has got majority and there would not be any horsetrading. Akhilesh Yadav had made many promises. 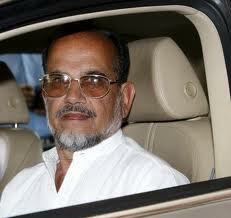 It is his personality that helped the SP and drew the electorate. He must get the credit for changing the public perception about SP. A section worries about decline of national parties in UP, India's most populous state that has a population of 200 million. But it is also a healthy aspect for Indian democracy. The checks and balances would make it more vibrant. SP has to deliver on governance and development. Ajit Singh's RLD is getting further marginalised in the state politics. Just for the record, the difference in Assembly composition in 2007 and 2012. In the 403 member UP legislative assembly, a party needs 202 for absolute majority. Congress and BJP can't be complacent and need to rework their strategies. Electorate won't reward them just because the are 'national parties'. SP's victory will do well to keep UPA's arrogance in check. Similarly, BJP leaders also need to do lot of introspection. Sound bytes and articulation in TV studios won't fetch them power in the cow belt, which is the route to power at Delhi. After this result, BJP leadership would surely have realised it. Will anlyze more in coming posts on this blog. For the list of names of winners and losers in all the constituencies in UP, check the Election Commission's website. And another link that tells name of all the winners on one page is HERE.